We kicked off our 2016 program year with an animated annual dinner last October. Thank you to our sponsors, board members, volunteers, attendees, Sojourner awardees Arthur Wong and Gary Libby, and to our excellent key note presenters, Francis Chin and Vincent Lau. We asked them to discuss the Chinese American immigration experience, as we recognized 2015 as the 50th anniversary of the Immigration and Nationality Act of 1965, which eliminated the National Origins quotas. They took us back to the future/past of the Chinese American immigration experience in a lively, interactive and engaging presentation. 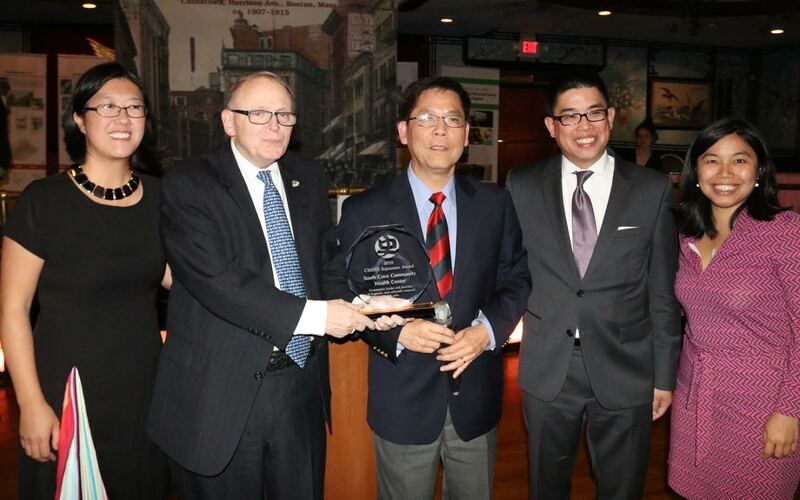 Sherry Dong(first on the right), Peter Chan(middle) and Susan Chinsen hand out 2016 Sojourner Award to South Cove Community Health Center. 2016 focused on continuing to develop and strengthen partnerships with various local and national organizations that support our effort on issues with regional and national impact, beyond our core programming of public talks and walking tours. Last fall, we were pleased to work with local filmmaker Kenneth Eng (left in the picture above) and bring his documentary “My Life in China” to Boston audiences. We held two screenings, with the help of the Boston Asian American Film Festival, with well over 200 people in attendance. With support from community sponsors we were able to bring the screening to Chinatown free of charge for seniors and youth, to encourage families and intergenerational interest. Ken has been an ideal partner with us, passionate about sharing his family’s immigration history and experiences and collaborating on other efforts to document and share our community’s histories and personal stories to raise awareness and promote discourse and understanding. 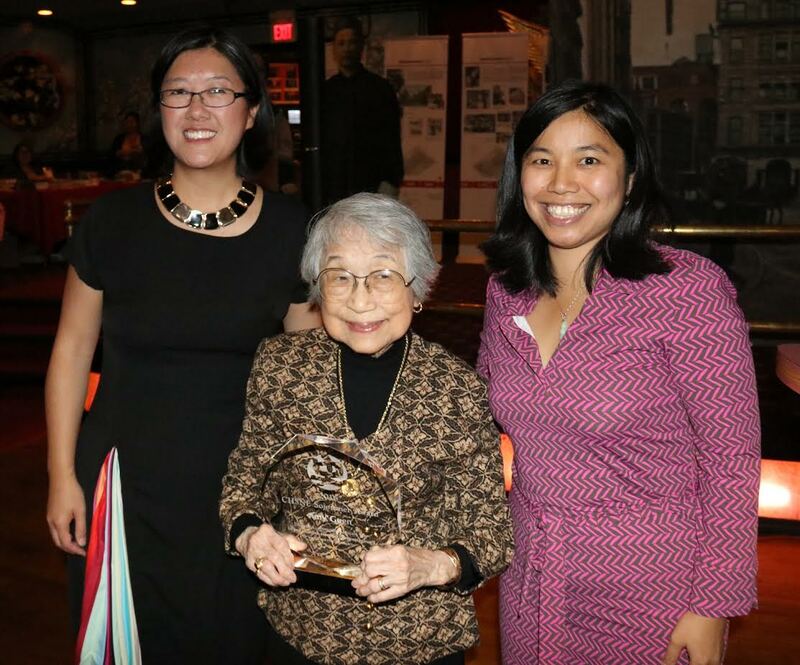 We are fortunate to have his help on a video project to preserve Boston Chinatown stories of three community elders–Helen Woo, Tunney Lee, and 2016 Sojourner honoree Amy Guen (middle in the picture below). We reported in 2015 that we began to lay the foundation for identifying a local site with significance to the region’s Chinese community, and applying for National Registry of Historic Places designation. Nationally there are very few sites that relate stories about the presence and impact of Chinese immigrants to the American experience. There are no recognized sites in the Boston area with ties to the Chinese community, and we hope to rectify that. CHSNE has spent much of 2016 working with the Massachusetts Historical Commission (MHC) and community stakeholders on how best to move this forward and to gain support for our site of preference, including garnering support from the property owner, who ultimately will need to submit the formal application. Mount Hope Cemetery is listed on the National Registry of Historic Places; we are working on an amendment to that listing to include the significance of Chinese to the site, including the Mount Hope Memorial. This effort would not be possible without President Obama’s interest in having the National Register reflect the history of all Americans, which led to funds for MHC to retain consultants to research and write a context paper and a nomination application. Our collaboration with Tunney Lee’s Chinatown Atlas culminated with a campaign to launch the website (http://chinatownatlas.mit.edu/), including a private reception at the Massachusetts Historical Society and a public talk, reaching almost 200 attendees. 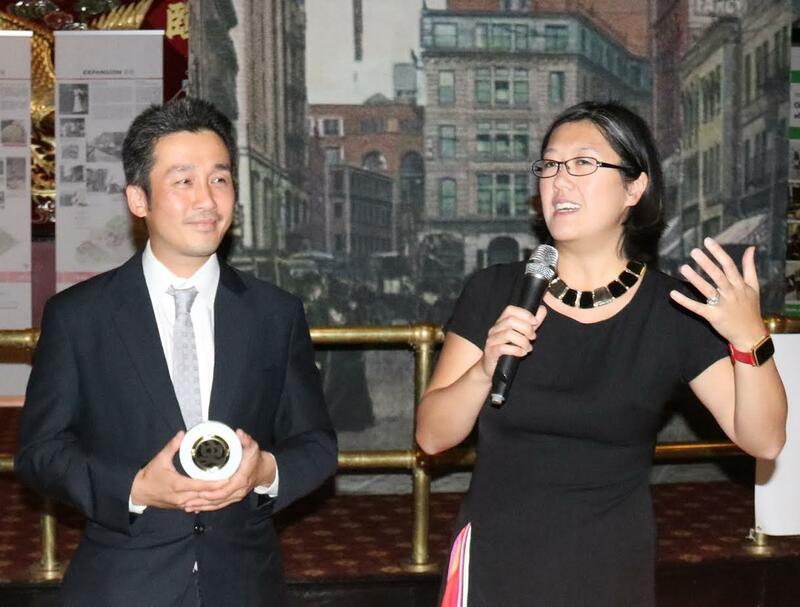 We are in gratitude to Tunney Lee for his vision and the Chinatown Atlas team for making it a reality–especially David Chang for representing CHSNE through his long-standing contributions. 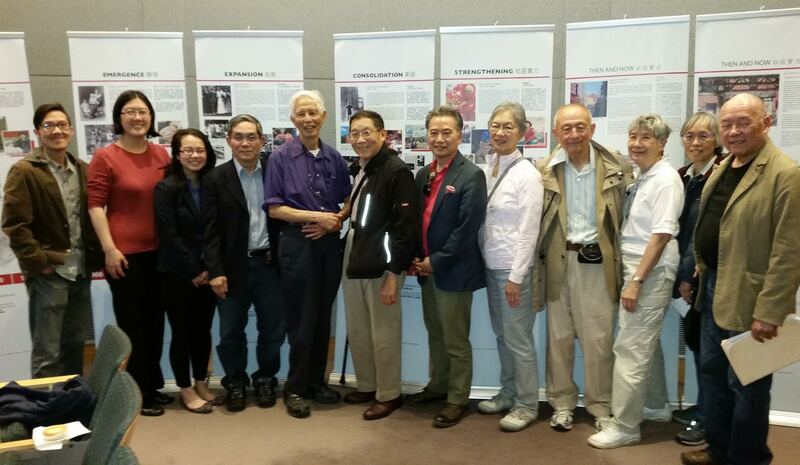 Furthering our theme of partnerships and collaborations, we worked with Historic Newton, to present a talk on the Chinese Laundry Oral History Project (a project of the Institute for Asian American Studies/UMASS Boston) in June 2016. Thank you to CHSNE board member Tom Chin and his wife May Chin, for sharing their experiences growing up in the Chinese laundry business. We are also appreciative of our community partners Wide Horizons for Children and Families with Children from China New England for helping us to present “How Chinese Are You? The Complexity of Chinese Adoptee Identities,” by Associate Professor Andrea Louie (Michigan State University). This September 2016, we are hosting a screening of 14: Dred Scott, Wong Kim Ark and Vanessa Lopes, about the history of birthright citizenship of with the National Park Service, QARI and Crane Library in Quincy. In addition to the public presentations, our walking tour continues to deepen the understanding of Chinatown for those fortunate to experience one. These tours would not be possible without the dedication of our guides. This past December we hosted a group of 90 freshman and educators from The Blackstone Academy in Pawtucket, RI. Thanks to guides Stephanie Fan, David Chang, Justina Chu, Deanna Wong, Manyee Tang and Felicia Tsang for making it possible. We have also been hard at work on several arts and culture/history projects. “These Words” with the Tisch College of Civic Life at Tufts University, led by Professor Diane O’Donoghue, and “Home Town” with artist/activist Wen-ti Tsen. On deck for 2017, beyond the oral history video project, CHSNE is developing a staged-reading at ArtsEmerson, featuring a farce written by Harry H. Dow–the first Asian American lawyer admitted to the MA Bar Association. The farce is based on immigration experiences of Chinese during and shortly after the Chinese Exclusion Act of 1882. In recognition of the 135th anniversary of the Act, CHSNE will be organizing several events, including this reading.